A national mortgage broker's negative online reputation was costing it $20,000 per day in documented lost sales. The firm called on Axia Public Relations to fix its image and turn around the company's reputation. 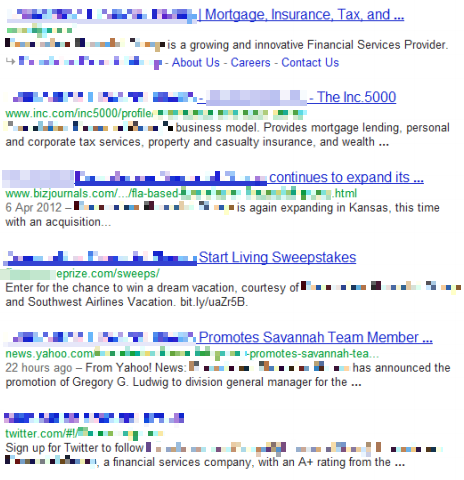 All this came from removing seven negatives from the first two pages of Google's search engine results and the company enjoying a completely clean SERP on the first six pages. 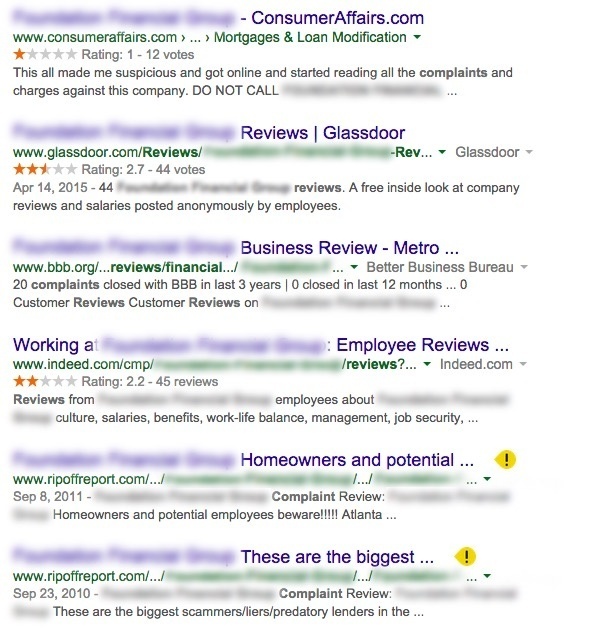 When Axia began work on the firm’s online reputation, a Google search for the company's brand name (branded keyword) returned seven negative reviews within the first 20 results. 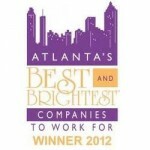 Axia developed a PR plan to put the company on the map and reposition it as a premier mortgage company. As a national public relations firm, Axia utilized its relationships with reporters nationally and on a local level throughout the country as the national mortgage firm added retail storefront locations to its footprint. Axia also enabled its Avalon hyperlocal system to secure additional local PR coverage for the client by sharing new hires and charity news briefs with the local media. On a national level, Axia pitched contacts in the business and financial services industries, positioning the company as a thought-leader in the industry, offering multiple experts available to speak on various topics as sources for articles. Within four months, Axia Public Relations helped generate 533 articles related to the company, including 31 broadcast stories. These 533 media mentions positioned the company in a positive tone. In the second quarter of the following year, Axia's relationships with national media outlets led to 1,053 more positive articles at outlets like American Banker, Insurance Business Review, Money Magazine, National Mortgage Banker as well as several TV news stories. Axia also secured local media placement in various cities where the company had branch offices, including appearances in Dallas Business Journal, Florida Times-Union, Florida Trend, and Savannah Morning News. Over the course of the two-year PR campaign, the total value of the 3,903 articles Axia generated for its client created so much positive media that negative reviews did not appear until page 6 of Google’s search results. This case study had a total measured value of earned media coverage exceeding $8 million, according to NASDAQ Media Intelligence. Axia prefers better metrics to show the value of earned media coverage. Check out why you should stop using AVEs to measure earned media coverage. When Axia began work on the firm’s online reputation, it immediately got three negative pages permanently deleted from search results – within one week. In two months, Axia removed two pages from Complaints Board. After several months, RipOffReport removed complaints from its site. When they showed back up several months later, they reappeared as deep as page 6. In the subsequent years, fewer negative reviews have appeared, and those that do seldom make it as high as page 3 in search results. Axia aggressively works to counter any new negative reviews with more positive earned media coverage and branded keyword optimization that quickly pushes the negative reviews back several pages on Google and other search engines. 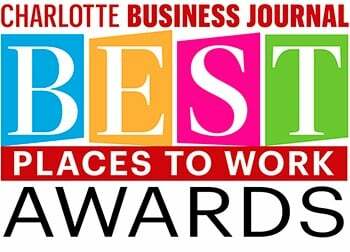 Several other awards also recognized the company as a great place to work. The awards helped inspire top mortgage professionals to seek new careers with the fast-growing company. 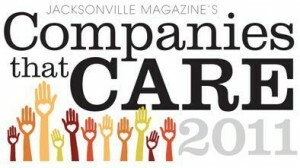 Several awards the company won helped spotlight its executives as industry thought-leaders. 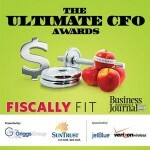 For example, the local business journal recognized the company’s CFO as one of the “Ultimate CFOs.” National Mortgage Professional Magazine honored the firm's CEO with its prestigious “40 Under 40 Award,” designating him as one of the top mortgage professionals in the United States under the age of 40, as voted on by his peers. 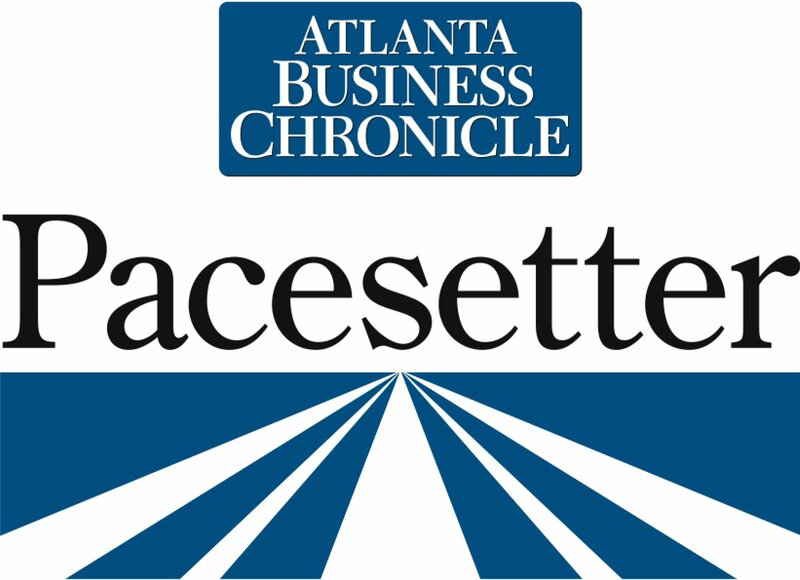 The American Business Awards named the company as a finalist in the “Company of the Year – Banking and Financial Services” category. Axia's client received the bronze award in the banking and financial services category. 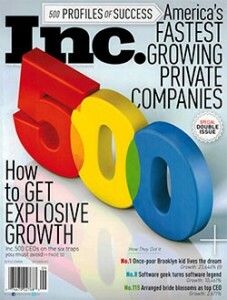 Most importantly, Inc. Magazine, which has an international readership of more than 740,000, named the company one of the fastest-growing private companies in the U.S. in its annual Inc. 500|5000 list of private companies. The CEO and members of the team appeared as experts and thought-leaders in the industry in magazines (including National Mortgage Professional Magazine and Money), newspapers, TV, and online publications regarding mortgage, insurance, and tax-related items. Axia also designed and created a social media campaign to give the company a presence on the most popular social media channels. Axia’s social media campaign took the company from absolutely no presence on Facebook and Twitter to netting approximately 10,000 likes on Facebook and nearly 9,000 followers on Twitter in only 12 months. Social media channels enable the firm to respond to critics in real time and to publicly display its commitment to customer service, which has improved public perception of the company. At a public relations campaign evaluation meeting four months into its relationship with Axia, the CEO of the company said the PR support it was receiving was "everything promised and more." Our employees are more enthusiastic about being associated with the company and feel that we’re something special to be part of." He relayed that employees reported positive comments from family, friends, and neighbors about the earned media coverage, and that this had caused them to take greater pride in their work. He identified all of this as contributing to greater sales and overall productivity. In addition, the CEO said it had become clear to him that his employees now fully bought into the company’s vision, direction, and growth plans. The firm is now enjoying more success attracting and retaining top qualified job candidates, as opposed to previously, when it couldn't attract qualified talent and experienced mostly no-shows for its employment interviews.